I've said this many times before but, for me and like many of you, Halloween is more than just a day of the year - it's a season of fun and celebration. 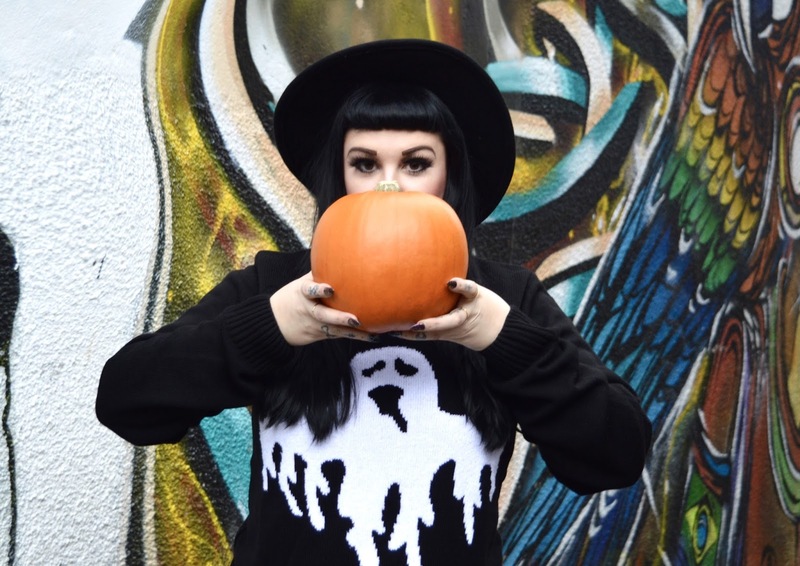 It's the time of the year where all the shops look at their very best; filled with amazing spooky treats, and it also just seems to inspire creativity across social media. In a nutshell, it just makes everything so much more fun. I also think it's the only time of year when I can 'goth it up' a little bit more and no one bat an eyelid or comment. 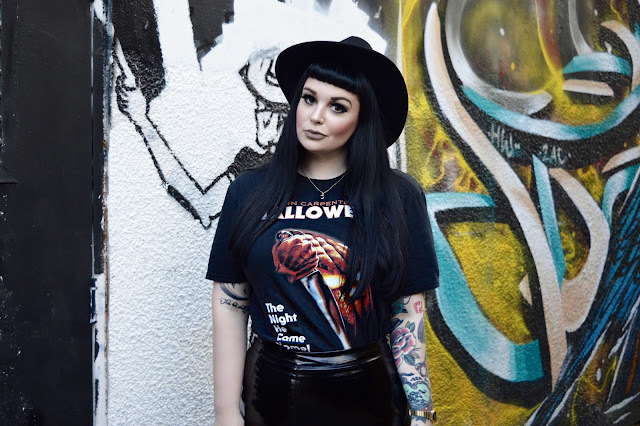 My fellow blogger babe, Fran, helped me take these photos on one of our Camden outings. In keeping with Camden street style, I wore my new creeper shoes*, courtesy of EMP - an amazing alternative fashion store I've been working with recently. I found these guys really handy when looking for Halloween outfit inspiration and they also sell beauty products. If you're looking in to buying these same style of shoes, I'd recommend going a size up and they do come up tight although I'm slowly managing to break mine in. So tell me, what are your plans for this Halloween? Did you dress up this weekend? As always, I love reading your comments so please do leave me lots of lovely ones below. No matter what you're up to this Halloween, I hope you're having a fantastic time and feeling/looking your absolute best. *Disclaimer - This post features items which were gifted to me for review. As always, all opinions are my own and do not reflect that of the brand. As usual, you look terrific, Sophie! The coat, the hat, shoes, and everything else tie in very nicely together :) Alas, I didn't do that much for Halloween this year. Gorgeous look <3 I love your skirt ! Hi Sophie! I adore your Halloween outfit, it suits you perfectly. 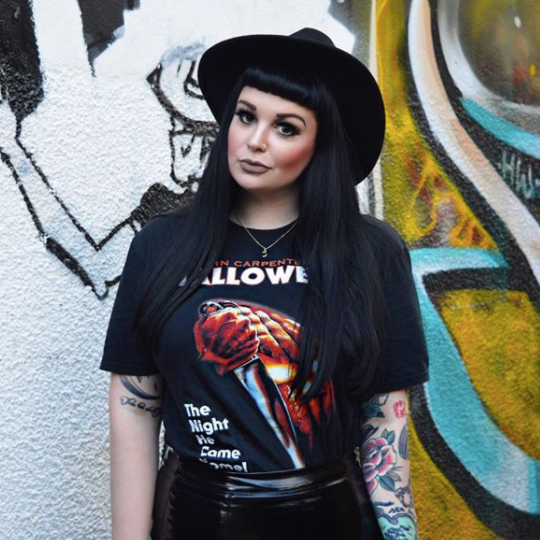 I especially love the statement tee, your hat, and dramatic make-up. You look stunning! I agree, Halloween is such an exciting time. 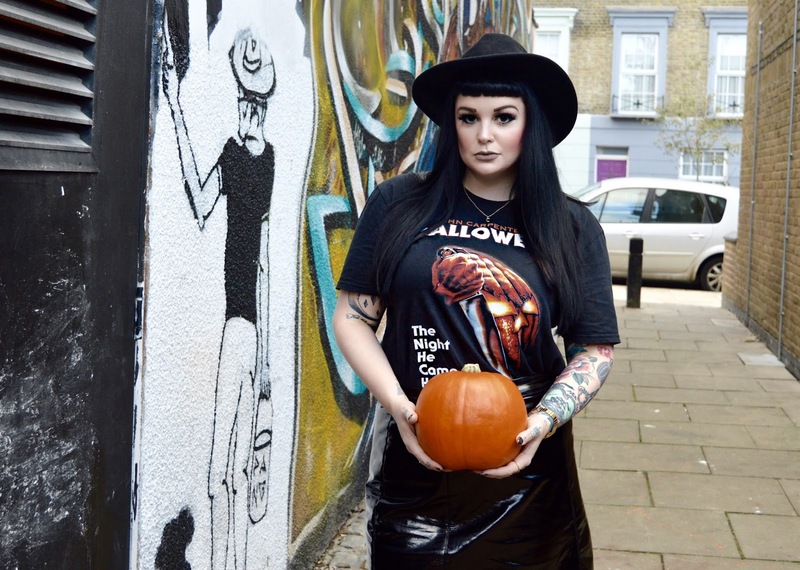 It's my favourite occasion of the year, and I always look forward to seeing the different and inventive Halloween looks which bloggers have put together for the occasion.